Uglyworld #856 - Readies To Go (301-365), originally uploaded by www.bazpics.com. This evening when I returned home from Mireille's grans funeral to pack my case I could hear Babo chatting with Wage outside in the garden so I decided to go find out what was going on. Babo: "Now, you remembers that this is nots for alcohols?" Wage: "Yes Babo's, I will behaves"
The pair then realised I was standing nearby and Wage turned to me and said, "Oh hi Baz, is ok when I comes with you to Americas?". I replied to Wage, "Yeah, no problem, but you need to be packed quite soon as we leave for Mireille's house shortly". 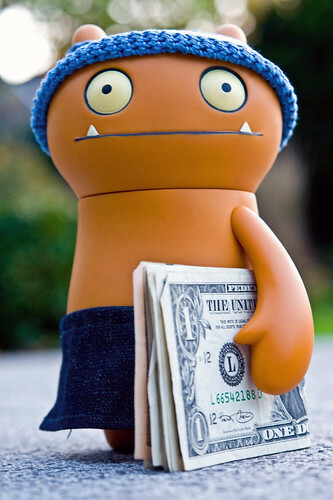 Babo made sure to remind me not to let Wage spend any of the cash on beer before we left!